This entry was posted in Budget, Operations, Ships, Vault and tagged FRC, nsc, OPC, Webber Class, WMSL, WMSM, WPC by Chuck Hill. Bookmark the permalink. The increased unplanned maintenance does sound alarming. In a way you hate to see this kind of post, but on the other hand the CG really needs many more reports like this, if the law makers are going see a need to change the routine underfunding of the CG. I recall the crew of a 210 being around 75. Outside need, the Coast Guard still needs to look at building a cadre of sea experienced people. Cutting crew sizes all around harms the future. Generally I agree. Even upping the projected crew of the X class cutter to 75 would only add 338 crew members (26 ships x 13 additional crewmembers) for a total of 5,284, still well below the augmented PoR requirement of 5,693. It is also still fewer crew members than the legacy fleet of 2000/2001 while providing about 12% more cutter days. The Gowinds look a bit top heavy? Similar variations on a theme………. X, thanks for two more examples. I notice since taken over by Bangladesh, the Castle class are now armed with a 76mm gun, four C-704 anti-ship cruise missiles, and two 20mm heavy machine guns. Both ships have considerably less horsepower than the Webber class cutters. 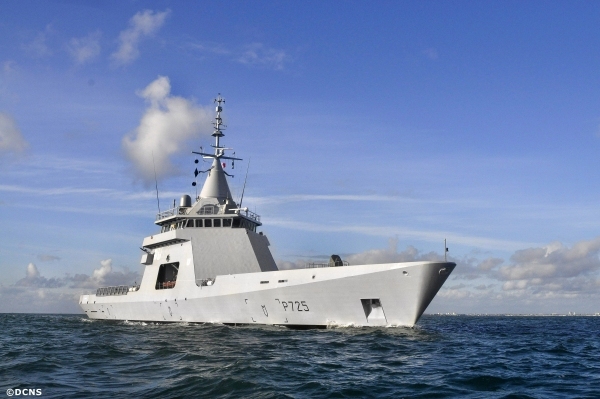 I doubt L’Adroit is top heavy, in fact the superstructure looks very much like a USCG 210 foot cutter. The superstructure is relatively short and the bridge has a 360 degree view. I doubt it too there is no excuse these days and the design wouldn’t sell; modern designs are hard to scale by eye. I am very fond of the Castles and their replacements the Rivers. But I am always troubled by why the RN didn’t see to fit the latter with a flight deck for use in home waters? The Castles can and have coped with Sea Kings. It is as if Their Lordships have never seen or been involved in helicopter evolutions with small ships (without a flight deck) or large/small boats. These days in the EEZ the helicopter as a vehicle is an equal partner with ship. They were designed with the capacity for a larger gun but it is something the RN see no need for in the EEZ. 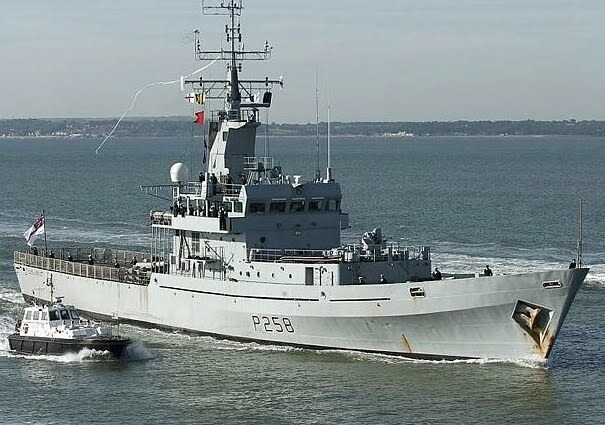 The Irish do but their OPVs are their entire navy obviously the RN have higher end platforms. The question I have is how much do the costs of the OPC’s go up if we’re only building 1 a year instead of 2? If we had our procurement act together for our “National Fleet” then the Navy and the USCG would be buying versions of a OPC, Cutter X, or maybe even an FRC. We know the Navy doesn’t have enough low intensity patrol vessels or we wouldn’t be deploying Cutters that are needed at home and the USN wouldn’t have extended they Cyclones for a decade more than their original intended service duration. If the USN and USCG worked off the same design for these types of ships, it would significantly reduce procurement costs. Sorry for that non-sequiter, back on topic, I’m starting to be sold on the OPC lite idea, and have come around to the idea that it would probably help politically to have two programs instead of one. There are some sacrifices operationally, because the OPC lite is not going to be as useful or survivable as the OPC if they are needed for wartime contingencies. That still concerns me. But there is an obvious shortage of offshore patrol ships, and if there is a better way to solve that than Cutter X, I haven’t heard it. But I’d have to see the numbers for how much the unit costs of the OPC are increased if the order size is reduced. I wish I could answer that. I think it will depend on the situation at the yard. The current concept is that for the first three years, only one OPC per year will be funded. Only in FY 2020 would production rates go up to two. Will going from one to two mean that the yard will have to pay skilled workers they do not want to loose to sit around or will going from one to two mean they will need to hire and train new workers who are less productive than their existing skilled workforce. The contract currently planned, is only for one year and one ship with options for future years. Options are poor assurance upon which to base investment in your workforce and shipbuilding facilities. Why can’t the engineers design the ship, coast guard yard build first of class, and then when its done work up and testing, contract out through the shipyards who will build it for the cheapest price? That way we are not held hostage to the shipyards. Either the House or the Senate committees did grant the USCG multiyear procurement authority with the OPC. I’ll dig up the link when I have time, but I read it fairly recently. So it seems like a good possibility that they’ll get that authority. We never seem to go though the intermediate step of building a prototype and testing prior to serial production. The CG yard has not built a large cutter since the 210s, but they could probably build something as simple as the X class cutter. It would not be much more than lengthened and updated 210. In the old days the Coast Guard (and the Navy) used to design ships, but the naval engineering staffs were gutted because out sourcing was supposed to be cheaper. If we were not about 25 years behind in funding replacements, we could have gone through the process of contracting design, building a prototype, testing it, correcting the design, and going to serial production. Instead we have tried to compress the process. yah, sorry Chuck I was distracted by my kids (who should be in bed) when I was reading that. Should have read your post and links more carefully before responding. This was the article I had read that I was thinking about. It’s a complicated question with lots of moving parts and unknowns. For instance, is the USCG just making it easier for their shipbuilding budget to be cut by having an OPC lite, because then Congress can just give them one OPC and one Cutter X a year, where maybe the CG could force two OPC’s a year based on need? Or like you suggested, does the CG increase their prospects for funding in Congress by having two programs instead of one? Nobody knows how that will play out. What we do know is that the CG needs more offshore assets, and that funding isn’t going to spectacularly rise anytime soon. So the CG needs to at least explore alternatives to the existing plan like the one you are proposing. O’Rourke seems to be supportive of something along the lines of what you are thinking. I was hoping to save you some time looking for it. If the CG had been properly funded the NSCs would have been completed several years ago and the OPC would have been built four at a time. And an example of how not to do it………. The Irish Coast Guard operate 5 S-92. The UK and French obviously operate helicopters too. No reason then why the Irish Naval Service shouldn’t have ships without flight decks. Similarly if the INS went abroad to support UN missions. And to square the circle as it were………. ……….which have some Irish DNA as it were in their design. Though for the Irish, i think they should have gone with something along the lines of the NSC or NSC-lite variation. My reason is because what if the Irish had to deploy a naval asset on a UN mission. What would they use to fulfill the UN mission. As far as the USCG, i think they should cap the NSC at 10 and OPC at 8 and keep the FRC at it’s present and projected level. Before the crash the Irish had been looking for an expedition support ship. Not a proper amphibious warfare ship more like a specialised cargo ship to move army assets, helicopters, and offer secure comms, medical facilities etc. The Mexican ships look an awful lot like the Coast Guard 270 foot Bear class, almost as if they used it as a model. They are a bit more complex, but slower, than the X class as envisioned. The Coast Guard has considered using the LCS, and while a lot of people have called the LCS a coast guard cutter (I think that was supposed to be an insult), in actuality it does not have the range and sea keeping we expect of a Coast Guard ship of this size. Yes I know about LCS failings I was joking and the distinction between naval and coastguard work. Though that distinction is lost on many. Then again lots about the maritime security sphere is misunderstood or remains unknown to many in the defence sphere, both pro (non navy/non coastie) and interested civilian. As for speed yes they are slower. The larger of the two is faster slightly. A few feet in length, up rate the engine slightly, and a different prop and knots can be gained. I offer them up again more as “mind food” to help some of us understand the size and possible capabilities of a hull in that range. Plus they look American too; well a bit anyway. Lots of speed, but way too complex (GTs for a start). A slightly simpler design using CODAG WARP perhaps? Lots of options. Prefer diesels myself. When Vosper came out with that design originally, I thought it was a fantastic little ship, but probably sacrifices too much for speed for the Coast Guard’s purposes. I have begun to think It would be a good idea for US shipyards to have a relationship with Mexican yards similar to the one the Danes have with yards in Eastern Europe where basic construction is done in the lower wage country and final assembly and fitting out is done in the more sophisticated yard in the home country. This kind of comparative advantage system has worked in the auto industry for decades. Would Congress allow it, probably not, but shipbuilding costs in the US have become outrageous. Actually, I think the Mexican patrol vessels may be faster than they claim. If you look at the heavier Bear class with only 7,000 HP provides a top speed of 19.5 knots, while the Mexican ships generally have over 12,000 HP and only claim top speeds of 20 knots. Similar sized and powered WWII destroyer escorts made 24 knots. Earlier, I had posted here what I thought was a photo of L’Adroit’s superstructure and hangar door. 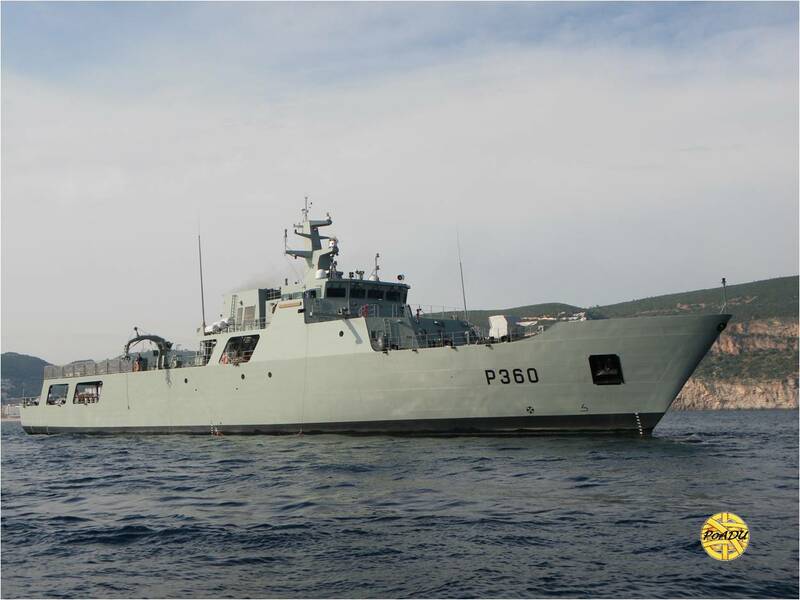 It was actually from one of Chile’s Fassmer 80 meter OPVs. They might also make a good start for an X class cutter. Now replaced with the correct photo. I look at the L’Adroit and I see a very good temporary replacement for the 210′. Classifying it as a WMSS (Maritime Security Small). Once the WMSM gets into service you can then transfer the WMSS over to Coast guard maritime security squadrons assigned to the US Navy. This might be something to look at for a Gulf of Mexico oriented Cutter X. Extra space for refugees, about the right size, with something like a 30mm for armament. a pair of stern ramps for RHIBs. Notably there is no ASW equipment so it is equipped only for anti-surface warfare and self defense. Could be useful for something like Operation MarketTime or for use against the Iranian surface threats. The way it is armed, 76mm, four SSMs, eight AAW missiles looks a lot like the Chinese Type 056 corvettes. This is what I think we should be looking at for a OPC. If not this type Class of Vessel. 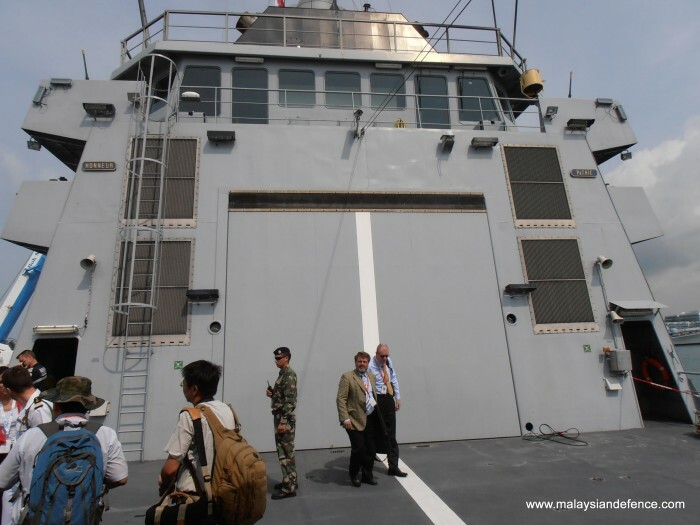 A ship that can perform the Maritime Security role whether it be in peace time or war. It has two doors for the boats. What is the chances of putting a towed array if the need arises in one of those spaces. A towed array that can be plugged into the ships systems like a garden hose hooked up to a outdoor faucet. It would still allow you to have one boat. I had similar thoughts on the possibility of adapting the ship for a towed array like CAPTAS2. and would apply to Cutter X as well the OPC.